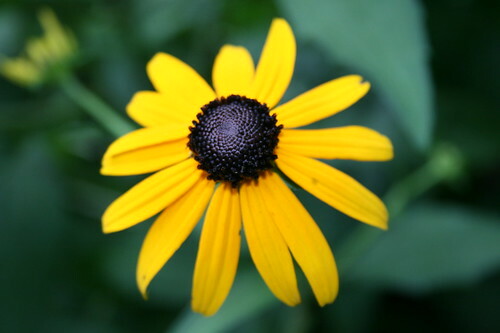 Close-up Black-eyed Susan, originally uploaded by DianthusMoon. The blooms of late July. So cheerful and sunny. Not sure what happened to the other wildflowers I planted next to these last year. I have my pink dinner plate hibiscus blooming too (grew from seed). The weeds/grasses are incredibly invading everything. I’m thinking about getting the weed wacker out tomorrow. The basement is better, but I moved things and there was water under them. I made the mistake of using some cardboard and bags as ‘quick storage’ to be replaced. They all have to be replaced-only about 4-5 that I see so far. An old braided rug is a bit wet, so I’ll get the fan on it. I am spraying Lysol around too. What a mess. I’ll keep sorting the stuff. Can I toss old sparklers and fireworks? Anyone know?